The Pelican or what’s the price of a cup of coffee? The best time of day has to be dawn…after a good night’s sleep, everything feels fresh and clean, the dirt of the previous day’s travel has been washed away and you’re ready for your next challenge. Stepping out into the early morning chill, I head into town to catch sunrise…and reflect on life in Saint Louis. In short, it’s tough. Last night I encountered an old man (well actually 6 yrs younger then me), who for what might be considered obvious reasons, latched on to me. I’m always interested in people, and always have the time to listen – surely a prerequisite for any traveller. Anyway, Max had my attention as he told me about his extended family, his houses, his animals, at the same time guiding me around the quarter and showing me various things. 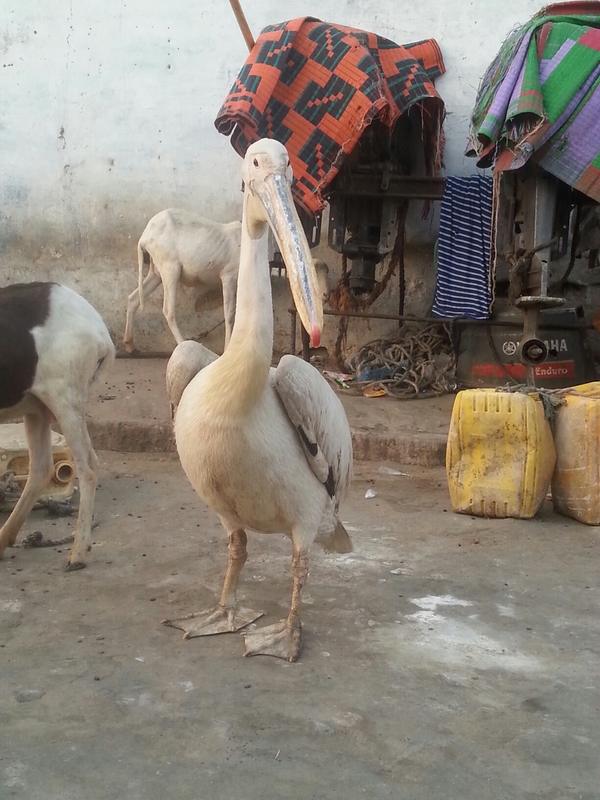 In passing a house I noticed a Pelican outside seemingly resting along with a herd of goats. Being a softie for animals, I touched the head of a nearby kid…wrong move! The Pelican was up in a flash, wings spread wide and bill clacking, coming straight at me. Exit stage left. Apparently, it’s guard Pelican and that’s his herd…who needs geese. Coming to the end of the guided tour, Max started telling me how hard it was to feed his family, finding clothes etc. As expected he asked for some money for rice. Anticipating this, I offered to buy him rice (not give him money), which I duly did. I bought from the neighbourhood store 2,500cfa of rice, which provided him with a few kilos of rice. To me, 2,500cfa is less than the price of a cup of coffee from my favourite cafe…surely something we can all forgo? Fouta Djalon, a great area for trekking and hiking in Republic of Guinea, little known despite a great potential. For trekkers, adventurers and West African fans.